1. Add new or replace old pressure regulators. 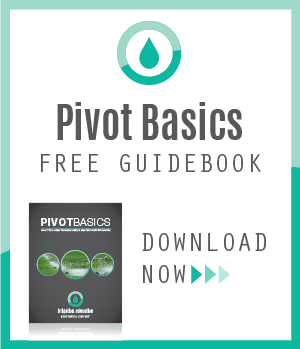 Regulators compensate for pressure fluctuations and stabilize flowrate, allowing sprinklers to operate at maximum efficiency and uniformity with constant nozzle pressure. 2. 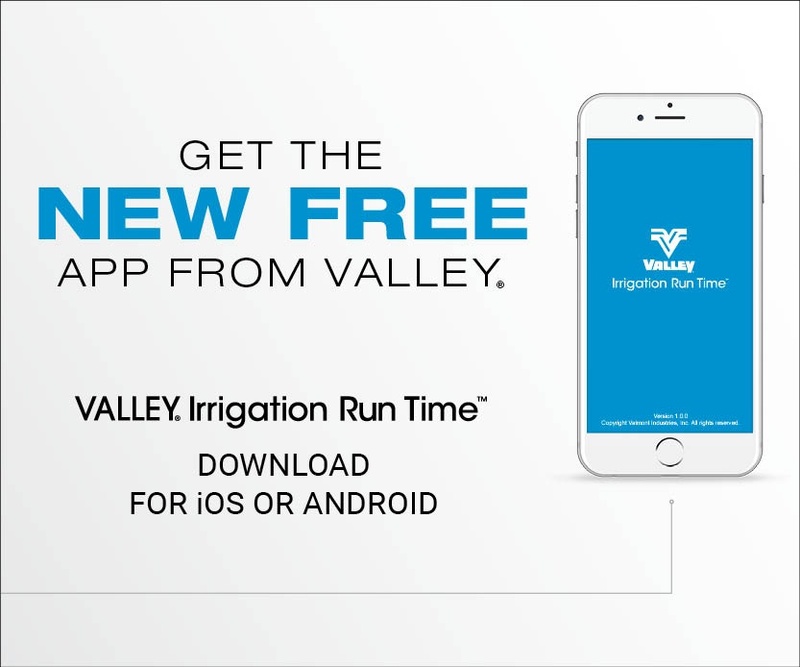 Replace old technology for better irrigation efficiency. Irrigation efficiency is a combination of proper irrigation scheduling, optimum droplet uniformity, wind resistance and water infiltration into the soil. 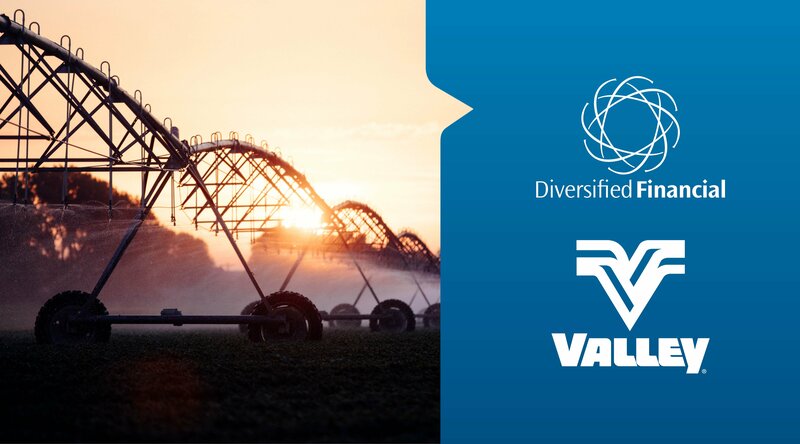 The 3030 Series with the 3NV nozzle system optimizes irrigation efficiency by turning a great sprinkler into a highly effective farm management device. Simply push and turn this multi-use nozzle for on, off, nozzle flush and line flush function. 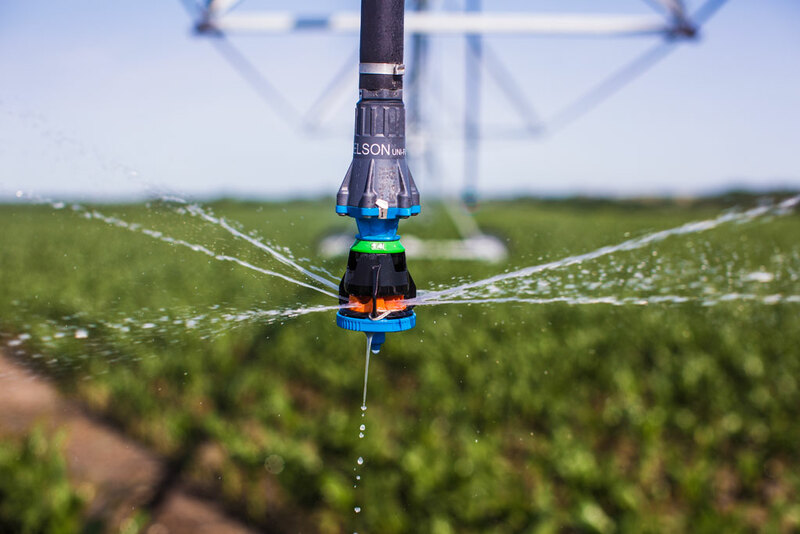 Keeping nozzles unplugged is easier than ever, and the 3030 dual nozzle clip makes it simple to match the pivot’s water application with the soil’s infiltration capability and the crop’s needs. 3. Replace sprinkler package. A new sprinkler package gets the right amount of water to the exact spot it’s needed. Lowered uniformity from worn sprinklers and pressure regulators can decrease yields and lower the quality of the crop, both from overwatering and underwatering. 4. Operate at lower pressure and save energy. 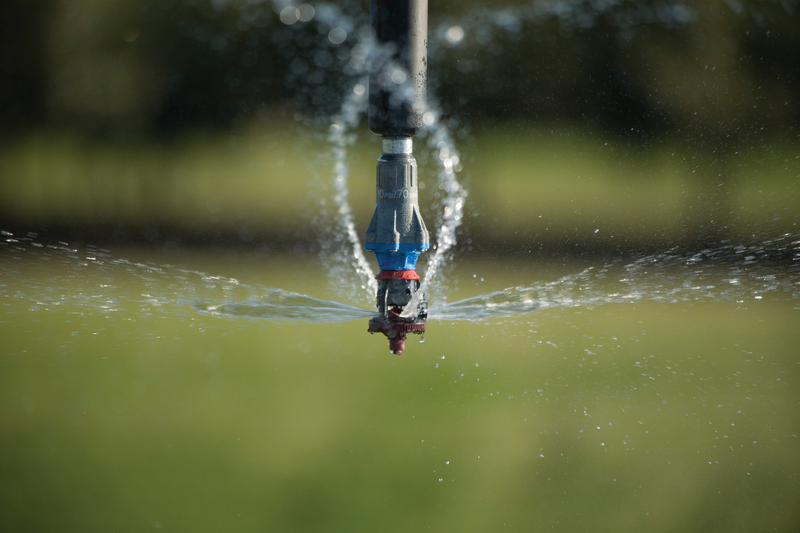 Sprinkler technologies, such as Nelson Irrigation’s Pivot Rotator® with Orange Plate and 15 PSI (1.0 bar) pressure regulator, can throw water nearly as far as an impact sprinkler that needs almost twice the pressure. The Rotator® does it at a higher efficiency, meaning less water needs to be pumped and less power is being consumed. Nelson sprinklers are almost always applied in the range of 6 to 20 PSI (0.4 to 1.4 bar) at the nozzle, depending on the application. 5. Utilize irrigation technology. By the year 2050, there will be an estimated 9 billion people in the world. Improving crop yield to support that population is essential. 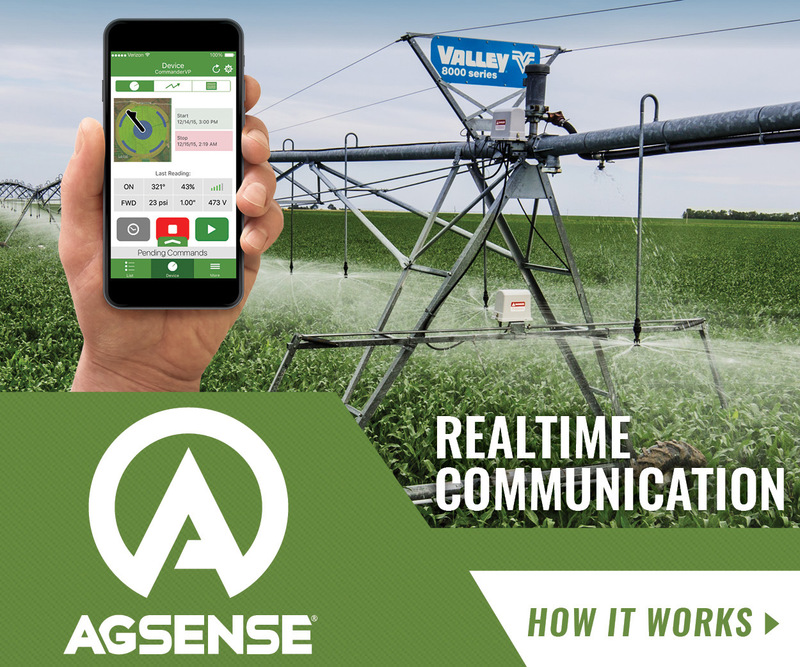 Utilizing irrigation technology that uses less pressure, consumes less energy, provides sustainable uniformity and conserves water is an important part of the equation. 6. 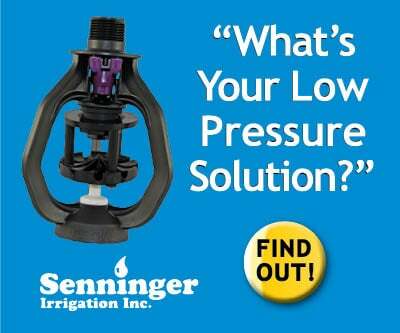 Adjust flowrates and sprinkler performance to match soils and crops. 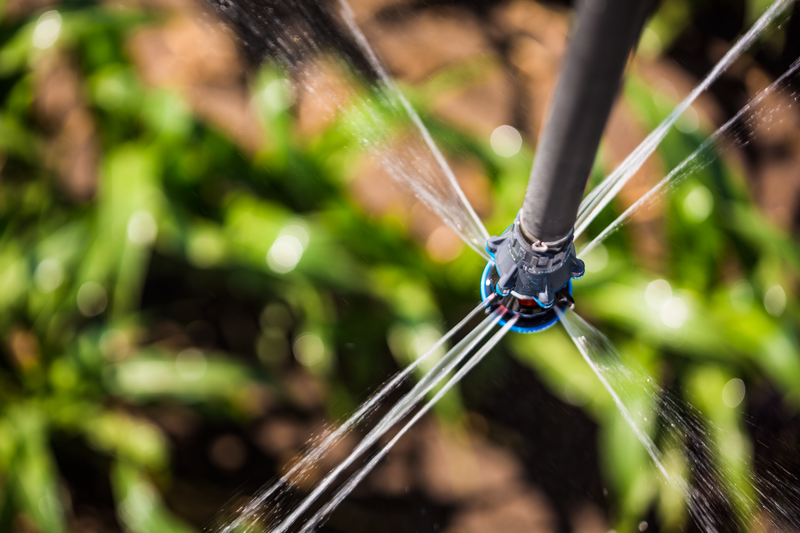 Nelson Irrigation has a full line of GeoCropical® Water Application Solutions - sprinklers fine-tuned for certain climates, soil types, terrain, crop rotations, water quality and quantity. 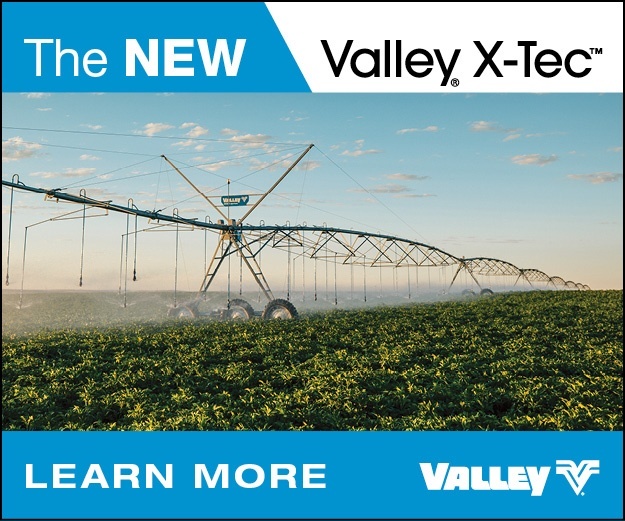 The new 3030 Series Pivot Sprinklers with the 3NV nozzle system offers you the industry’s most advanced and comprehensive selection of solutions. 7. Replace worn out sprinklers, nozzles and regulators. 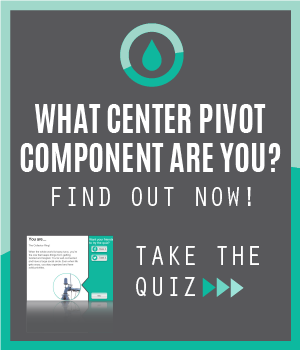 The “effective” life of water application devices means the period of time in which the equipment will perform according to accepted standards. Effective life will vary greatly depending on water quality. Sprinklers and regulators may still function beyond their effective life; however, the lower performance will reduce crop quality and yield to a point where it makes economic sense to replace the worn out parts. 8. Fix poor water application. Water droplets contain kinetic energy and too much of this kinetic energy can lead to surface sealing. 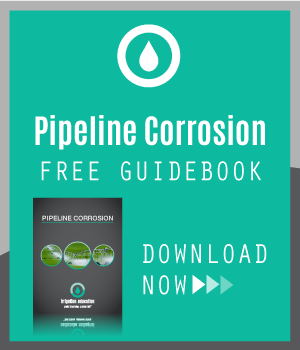 Surface sealing leads to poor infiltration into the soil, which can cause runoff. Minimizing the kinetic energy of the droplets and maximizing the wetted diameter of the sprinkler will decrease soil compaction and increase water infiltration, leading to less runoff. In some cases, moving sprinklers out of the canopy will increase wetted diameter and solve runoff issues by more closely matching the application rate of the sprinkler to the infiltration rate of the soil. 9. Reduce pivot tire rutting. Deep wheel tracks can be due to the tires always moving through saturated soil. This can occur when runoff from the sprinklers moves through the field and gathers in the wheel track. Properly applied sprinklers that eliminate runoff can help control wheel track depth. 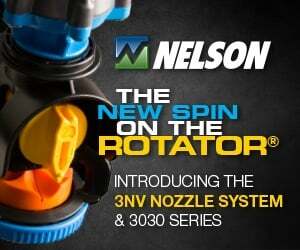 Nelson offers a full line of part-circle sprinklers that can further keep wheel tracks dry. 10. Take advantage of local power utility or government cost-sharing programs. These have incentives for utilizing a sprinkler package that uses less energy and/or saves water. If you want to learn more about the benefits of Nelson sprinklers, log in to irrigation.education and take the Nelson R3000 Rotator Overview and Nelson 800 Series Valve Overview courses!